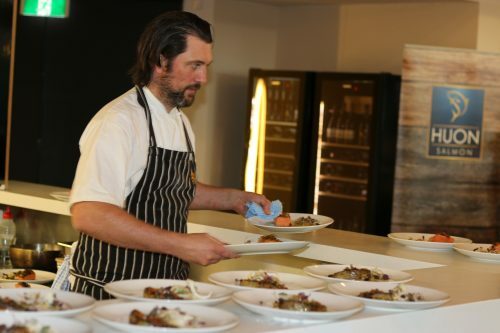 “If I can’t tell my customer where it came from, who farms it, how long it took to get from the farm to me and who brought it here, if I can’t answer those questions then I’m not happy to have it on my menu,” the Josef Chromy Head Chef said. Take your pick! 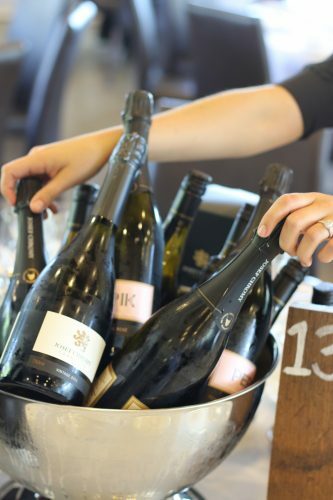 A selection of Tasmanian sparkling wines and champagnes at Effervescence. Raitt has cooked for some of the world’s most prominent people, so he knows sourcing the right food for the job matters most. The former New Zealander was selected to work as a personal chef for the Royals of Oman, cooking for HM Queen Elizabeth II, along with other members of the royal family and global leaders. For those dining at Josef Chromy’s Cellar Door Restaurant Raitt said the origin of his ingredients is even more paramount. It’s the food trend currently at play, and one he is happy to foster. “I don’t think the intricate detail that went into say Jacques Reymond’s restaurant 10 years ago is really what people are expecting these days or what the leading people in the industry are trying to achieve,” he said. “It is still very vibrant, it is very fresh, it’s very in touch with their supplier or farmer or their own farm; that is much more interesting and much more on trend at the moment. Man on a mission: Head Josef Chromy chef Nick Raitt serves Huon Salmon to guests at Effervescence Sparkling Wine Festival. Raitt agreed that the accessibility of information has brought food provenance to the fore. This has paved the way for a generation of consumers who want to know that the food they eat has been farmed sustainably and ethically. In a 2015 Nielsen survey of 30,000 people in 60 countries, two-thirds of respondents were willing to pay more for sustainable brands; up from 50 per cent in 2013. “Information is easy these days, it’s a touch of a button, so you would be a fool to pull the wool over anyone’s eyes,” he said. “But also that’s the basis of our business these days, being transparent as a restaurant or supplier, as a chef I want to know, and if someone can’t tell me then I don’t want to deal with them.